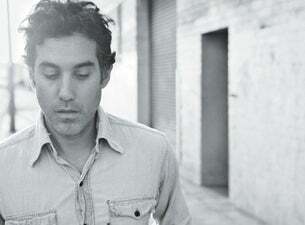 Joshua Radin is an acoustic singer/songwriter from Cleveland, Ohio. When close friend and actor/film-maker Zach Braff heard a demo of Radin’s song "Winter," he was immediately interested, and got the song onto the show Scrubs in the episode "My Screw Up." The song received an overwhelmingly positive response and gave Radin substantial exposure with the show’s demographic. The songs "Today", "Closer", "Don’t Look Away" and "These Photographs" were also used on the show. Read more about Joshua Radin on Last.fm. Here are some industry leading presale databases we recommend you use if you're in need of a Joshua Radin presale password to buy early tickets to see Joshua Radin performing live. Getting your tickets early is a great way to get great seating and secure your tickets before they sell out during the public onsale.